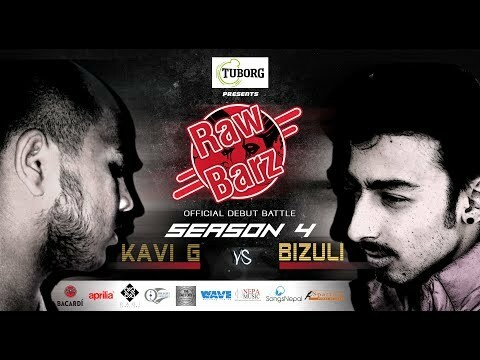 Here is the most awaited Nepali Rap Battle of Tuborg Presents RawBarz Season 4 Episode 1 Kavi G Vs Bizuli Rap Battle. Kavi G is one of the most talented Nepali rapper making his debut all the way from Dharan, Nepal with another talented MC Bizuli from Baudha, Kathmandu, Nepal. Here is the Dope Ne[ali Rap Battle Video ever, Enjoy !! Watch and don't forget to Share and Comment your Favorite Rapper. Also Vote your favorite rapper for Apirilia People's Choice Rap Artist of the Year.